Refined Rustic Furniture processes many kinds of wood products. 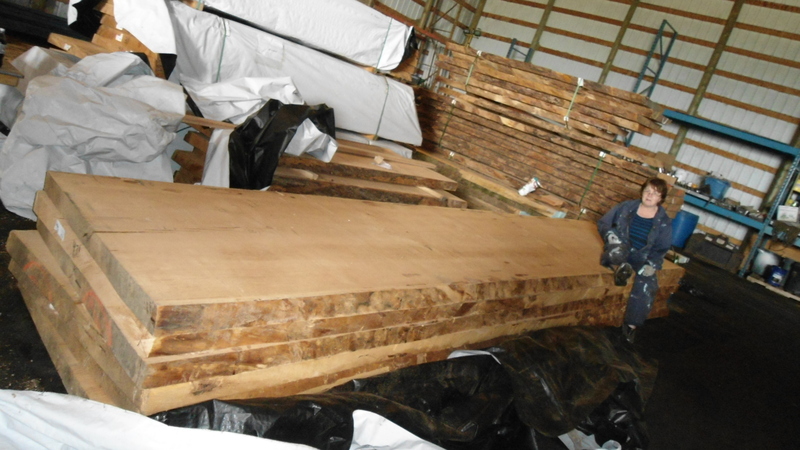 We have a sawmill to turn large logs into usable furniture-ready slabs and dimensional lumber. Wood slabs can be turned into tables, counter tops, feature walls, mantles, benches, swings, shelves and corbels just to name a few. Locally salvaged trees come in as bucked logs ready to process. 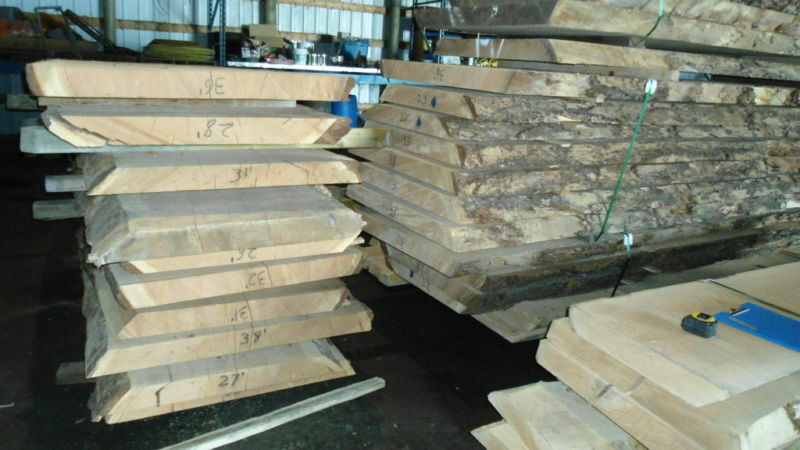 Raw logs are placed into our mill and trimmed to 2 to 3″ thick pieces. Slab lengths can be as long as 22 feet. When cutting we try to maximize the cuts to use the whole tree or as much of it as possible. Small leftover cuttings and sawdust are used for heating in wood burning stoves. We are currently rescuing Cottonwood, Aspen, Poplar, Pine, Elm, Spruce, Fir and Birch. Many slabs are available at our woodstore on a regular basis. 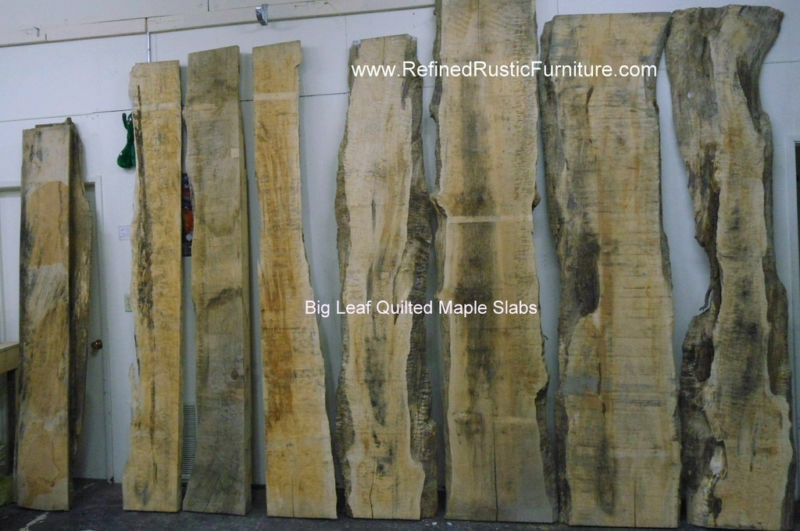 Refined Rustic Furniture also imports hard-to-find and highly sought after hardwood slabs. This includes B.C. Big Leaf Maple, Ash, Black Walnut, Black Cherry, California Claro Walnut and Butternut. We have a huge selection of natural edge slabs and we can provide slab types to match colours, dimensions, live or straight edges, or even join a couple sequential cut slabs together for a unique book match look. Slabs add a substantial and impressive look to any home or office. 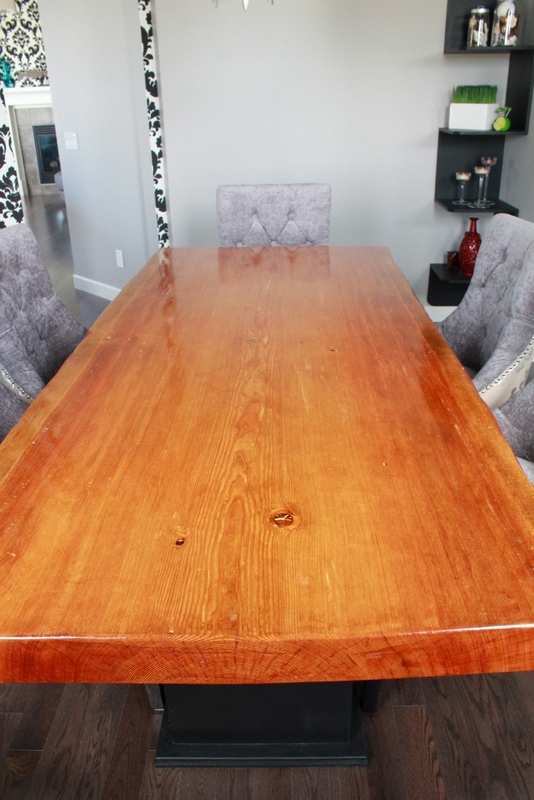 Slabs are the ideal choice for board room & office tables. We have a selection of natural edge slabs in our retail shop at 425A 58 Ave SE, Calgary, Alberta. We cater to designers, contractors, single use pickers and DIY customers.